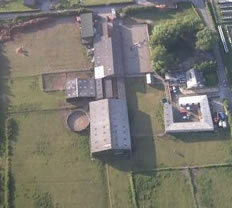 Flight View Livery & Stud is a friendly, family run livery yard and stud based in Preesall. We aim to breed and produce quality horses with the potential of competing across the main disciplines at a high level. Our horses are also our hobby. We have lots of happy customers from the 35 years we have been established whether they have liveried with us, bought horses, had lessons or used our stallions who still regularly report back to us about their equines/experiences. After all, our horses are our reputation as they do most of our advertising for us! Please visit our contact page and get in touch for current prices and to discuss stable availability/individual needs. Friendly family run BHSAI qualified business established over 35 years. Approachable dedicated team of experienced professionals to help with all your equine needs. We always have horses for sale, ranging from foals by our own stallions out of mares with exceptional breeding from KWPN to SSH and Grade A mares with proven track records, through to competition horses ready to go! Whilst we make ever effort to keep our website updated with our current offerings it is always best to give us a call for up to minute listings. Even if we don't have exactly what you are looking for with over 35 years experience we've built up an enviable list of contacts to find you the horse to suit any needs. Take a look around our site, competition horses, stallions, progeny if you like something get in touch as we may be able to strike a deal! · Quality Stallions with onsite AI and Natural covering available. · Affordable Full, Part, DIY or Holiday Livery. · Cater for rider and horses of all ages / levels. · Tuition in the following disciplines; show jumping, dressage, equitation and riding club. · All riding lessons are taught on a one to one basis. Group lessons are considered. · Also Stable management and competition turnout. · Horse nutrition and dietary requirements. · Advice on tack and saddle fitting. · Hazard free environment for your horse (no barbed wire). 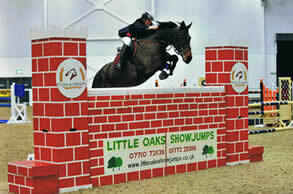 · Fully equipped floodlit indoor and outdoor manage with water systems fully fitted and full courses of show jumps. · Shower Room and Stocks with solarium. 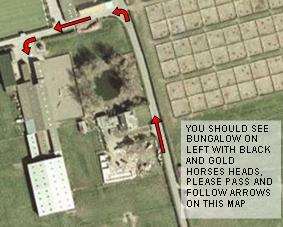 · We truly believe we are one of the best livery yards in the North West / Lancashire area. 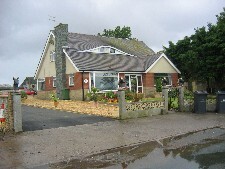 · Located in between Blackpool, Preston and Lancaster on the Fylde Coast in FY6 Area. Please visit our Facilities Page for more information and pictures. This is our bungalow. As you can see the horses heads are on the wall as you drive past. You will then know you have found us. 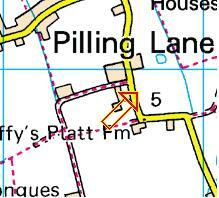 We are currently situated in Preesall which is near Blackpool, Preston and Lancaster in the North West of England. (Over Wyre) JCT 32 M6 or Jct 3 M55. Or if you have a sat nav our postcode is FY6 0JX.